At Better Vision New Jersey, we work to ensure that we have treatment options suitable for all of our patients. Treatment for glaucoma includes several different medical, laser, and surgical options. Medical therapy for glaucoma consists typically of eye drops, which can be quite effective at controlling intraocular pressure to limit vision loss and prevent optic nerve damage. Glaucoma patients require more frequent visits to monitor intraocular pressure and nerve fiber structure and functional testing in order to keep tabs on the status of the disease. If the disease shows sign of progression, you may need to take more than one type of eye drop in order to reestablish disease stability. Our physicians are especially skilled in the medical management of open angle glaucoma. They will walk you through the various medical options to establish a suitable and effective treatment regimen tailored to your personal needs. Better Vision New Jersey is one of the few practices in the state with a Duet laser, which allows, among other things, the ability to perform laser trabeculoplasty for open-angle glaucoma. 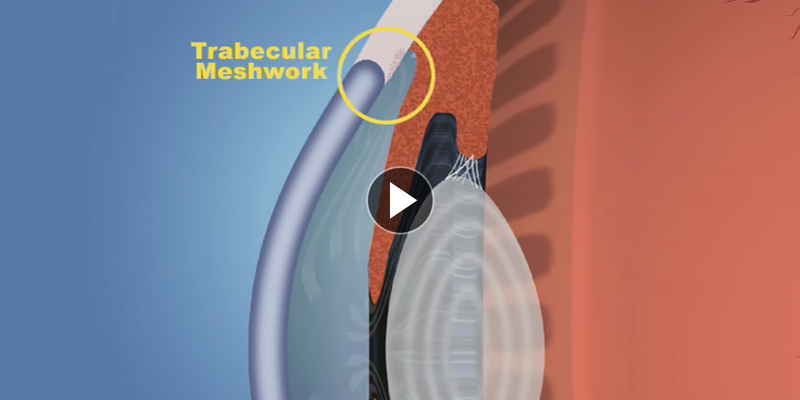 As an alternative to medication, selective laser trabeculoplasty is quite successful as a repeatable therapy to achieve meaningful intraocular pressure reduction. Furthermore, there are no restrictions or patches needed after the procedure. Most of the patients are actually able to drive to and from the procedure. MIGS stands for Minimally Invasive Glaucoma Surgery. This type of surgery consists of devices or procedures which bypass the trabecular meshwork (the part of the angle between the cornea and iris through which the fluid is actually draining from the eye) including Trabectome, Trab360, Cypass, Xen gel stent, and the iStent. Of these, the iStent has the longest track record with the least number of complications. The iStent is indicated for use during cataract surgery in the treatment of mild to moderate open angle glaucoma in adult patients currently being treated with glaucoma medication. If you have been managing your glaucoma with medication and are preparing for cataract surgery, implanting an iStent during the cataract surgery may be an option worthy of consideration. It offers an opportunity to reduce dependence on some, if not all, of your eye drops, perhaps even postponing more significant glaucoma surgery. And since you are already considering cataract surgery, you could address both your cataracts and glaucoma at the same time without an additional surgical procedure. The iStent is the smallest implantable medical device available for the human body—about the size of the date on a Lincoln head penny. It also started a revolution in glaucoma therapy as the first widely successful MIGS device; it has been implanted in more than 200,000 eyes. Dr. Calderone has extensive experience and success implanting the iStent in his glaucoma patients undergoing cataract surgery. The iStent is just another therapeutic tool the physicians of Better Vision New Jersey have available to minimize your vision loss from glaucoma. We invite you to make an appointment to visit us and discuss this and other revolutionary therapies for glaucoma. The goal of glaucoma therapy is always to control intraocular pressure to a level which controls progression of vision loss with the least invasive therapy available. Sometimes surgical options need to be considered. Drs. Calderone, Rudofsky, and Chopin will be there to discuss all available options needed to achieve optimal intraocular pressure and to minimize vision deterioration in the management of glaucoma.